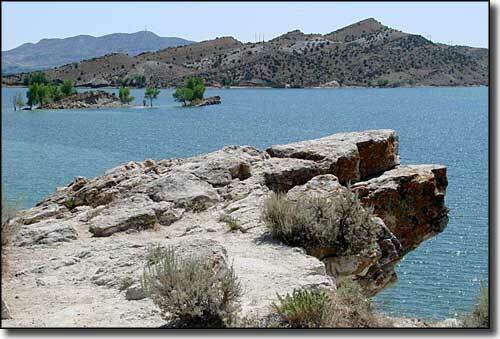 Steinaker State Park is at Steinaker Reservoir in the heart of dinosaur fossil and tracksite country. This is a great place to stop and relax, swim, boat, fish, even water ski in between journeys of exploration into the surrounding wild and crazy countryside: Uinta Mountains to the west, Dinosaur National Monument to the east, red sandstone and desert canyon country to the south, Flaming Gorge National Recreation Area and Red Fleet State Park to the north. 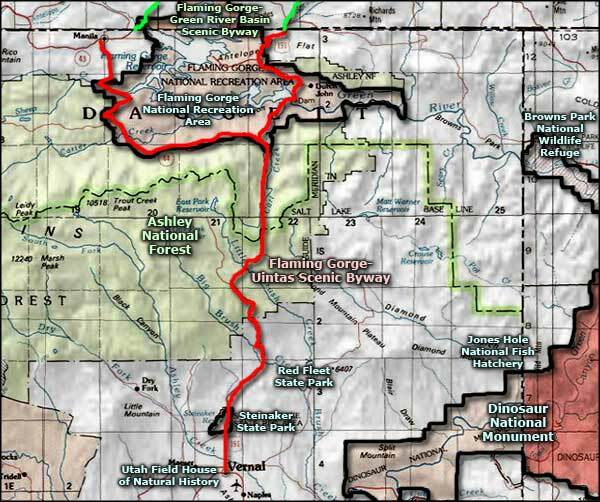 Steinaker State Park is about 7 miles north of Vernal on US 191 (the Flaming Gorge-Uintas Scenic Byway). A day use pass costs $7 and covers use of the boat launch facilities. Overnight camping will run you $13 per night (no hookups), or $25 per night (full hookups). 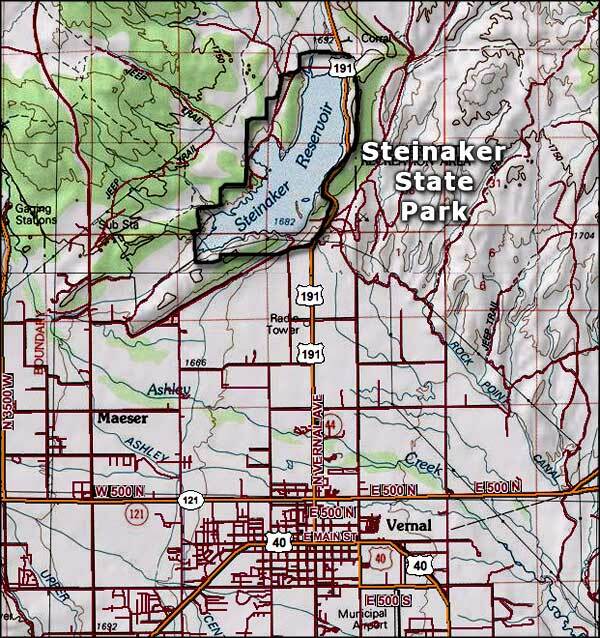 The $75 annual Utah State Parks pass is available at the Steinaker State Park Visitor Center. Steinaker State Park is open 365 days a year from 6 AM to 10 PM in summer and from 8 AM to 5 PM in winter. Photo of Steinaker State Park courtesy of Vicki Watkins, CCA ShareAlike 2.0 License.